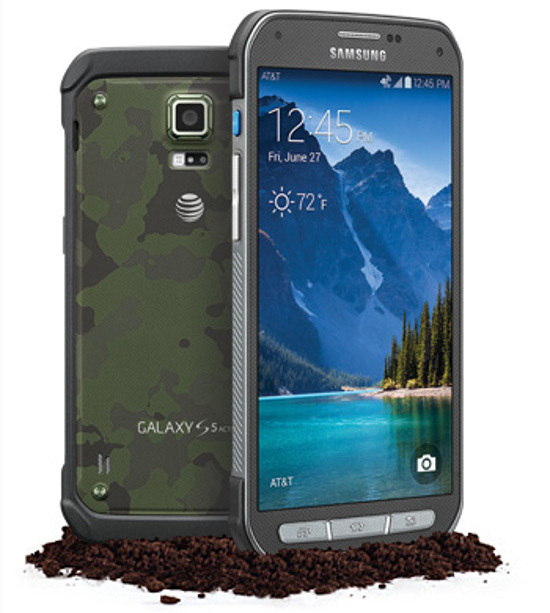 Samsung Galaxy S5 Active AT&T has been officially launched in the U.S for the AT&T. Specifications and features of the phone the Active AT&T are similar to S-5. It has 5 inch Full HD SUPER AMOLED Display, 2.5GHz quad core Snapdragon 801 CPU and runs Android 4.4 Kitkat OS. It has IP67 ratings for dust and water resistant. The S5 Active also is a shockproof and meets US Mil-STD 810 G for the temp, humidity, shock and rain. It also has 3 hardware physical tactile and robust keys. It is also accomplished with 16MP rear camera with LED flash and a 2MP front camera. The phone is capable of recording 4K videos. The Galaxy S5 active comes in Camo Green, Titanium Gray and Red colors. The pricing for the phone starts at US $199 with a two year contract / agreement. We hope it would soon make its way to verizon network.